Great historic 1/2 shotgun house in historic Treme, just a few blocks from the French Quarter, Esplanade and the Marigny. The house has been recently renovated with original pine floors in the living room/kitchen and bamboo throughout the rest. The kitchen includes granite countertops, stainless appliances and washer/dryer. There are flat screen TVs in each room, satellite TV and wireless, and of course air conditioning. This house is just a short walk to many of New Orleans famous sites such as the Blacksmith's Shop, Dizzie's Cafe, and a bit further down the street you will run right across Bourbon Street and later into the French Market. On occasion you will also have the opportunity to see the traditional second line parades the come right up the street near the house. 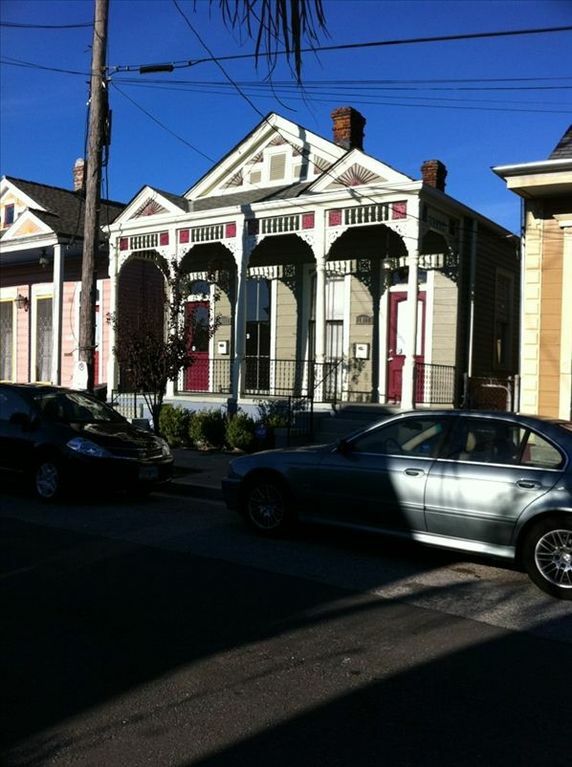 This is a very cute and comfortable traditional architecture house where you can enjoy the full flavor of New Orleans. Full washer and dryer on site. Updated kitchen with new cabinets, stainless appliances, dishes, glasses, etc. This is a prime time location. About a 10 minute walk to Bourbon but a 2 minute drive. It was a short walk to the Mardi Gras parade. Residence was very clean. I wouldn’t suggest this location to younger people because the walls are super thin, and there are neighbors who live next door. But I would definitely book it again. My family (5 adults) stayed here for the Christmas holiday. The house was great and like other reviewers have said, the shotgun style didn't cause an issue for us. The location is perfect - a $5-6 Uber ride from most of the NOLA hotspots. Our family that is local had a few concerns about the safety of Treme, so I will say that the area around the house felt safe and we didn't see anything concerning. Once you got a few blocks in either direction though, it definitely felt a little more unsafe, which is why we opted to Uber most places instead of walk (even though the French Quarter is less than a mile away). All in all, I would stay here again. Spacious, clean, well appointed property. My family had a fabulous stay in this house. The property was as described. We utilized the back master bedroom, the second to last bedroom, and the futon in the office. All beds were comfortable, and there were plenty of sheets, pillows, blankets, towels, etc. As noted in the description, this house is shotgun style, meaning that to get to the back bedroom you must walk through the other bedrooms. For families or close friends, this is not an issue. We found that for the best heat/air flow we needed to leave the bedroom doors open. The tvs all worked great, and it was nice for my kids to be able to relax after a long day by watching a children's show while my husband and I watched a different show in a different room. Although not in the French Quarter, we found the walk to the Quarter and even the Superdome to be fairly easy, even with young kids. We walked everywhere during our 4 day stay, only using Uber twice. I will note that the property listing shows a shaded area for the location of the property that is not correct at all. I'm not sure how that shaded location circle is set, but the actual location is 12 or more blocks outside of the shaded area. The owner was very easy to get ahold of and gave good directions before our stay. The house is simple and attention is given to comfort and cleanliness. The neighbors are nice and it is only a short walk to the French Quarter. We had three couples staying there with plenty of room. Charming definately describes this house. The house was clean and very well maintained. Our group of 6 really enjoyed the experience of staying in a local neighborhood. It was a short walk to the Quarter and we felt safe even walking back late at night. The neighbors were so friendly and helpful. The owner was prompt with response and was very accomodating. We would certainly consider staying here again. No guests under 25 without parents, no smoking, no pets, no loud noise/partying. All events (voodoo fest, jazz fest, essence fest, french quarter fest, mardi gras, etc) are 300/nt - 2000/wk.